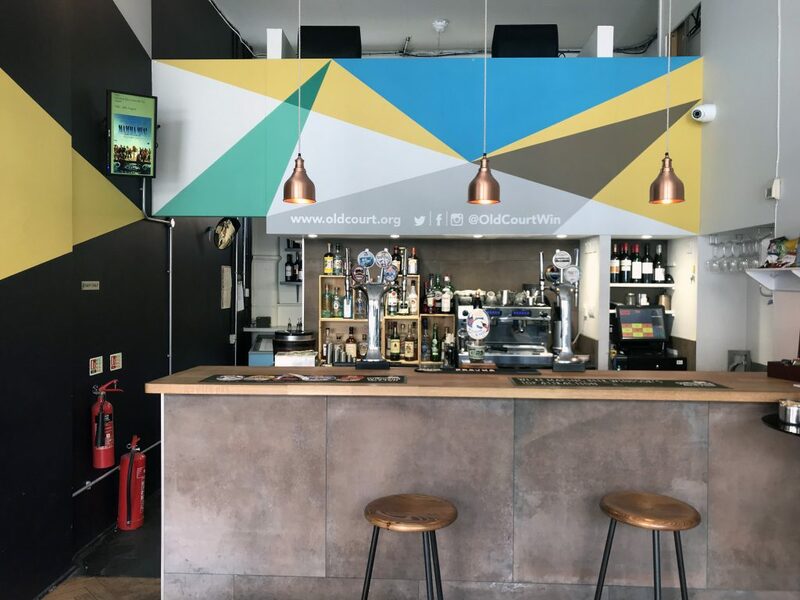 The Old Court, Windsor is a vibrant community arts centre, hosting everything from theatre, to bands to exhibitions and more in a variety of different spaces. 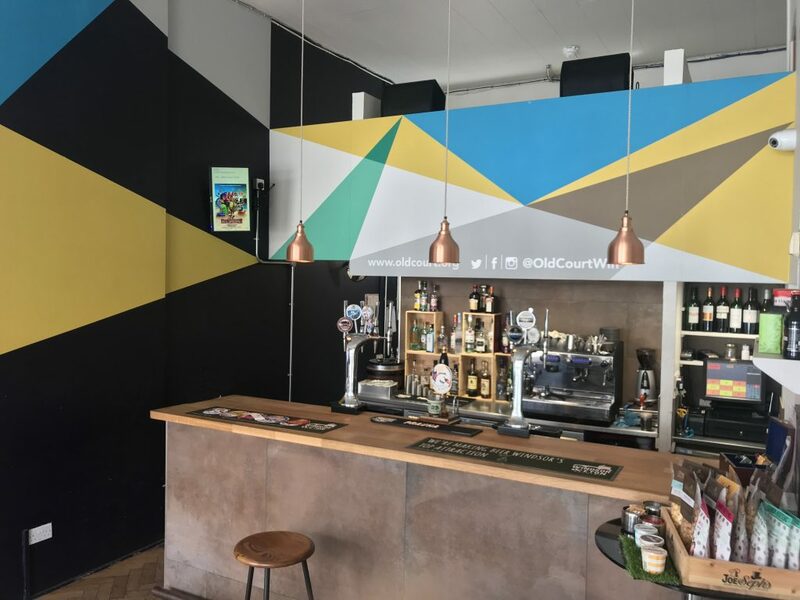 Following a refurbishment project, we were invited in to both add some character to the space, and to communicate more clearly what the space offers to users and passers-by. 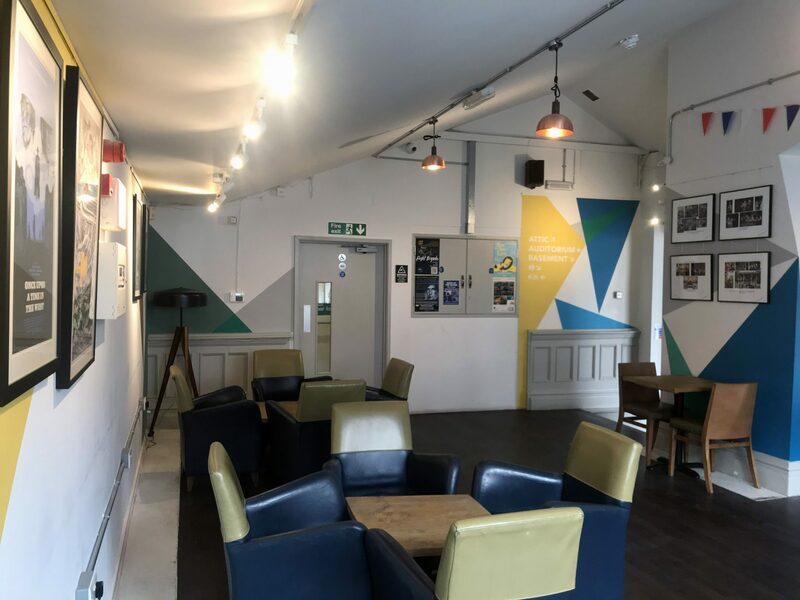 This was particularly vital as the centre has had different names and management teams over the years, so clarity about what it now offers is key to its future success. 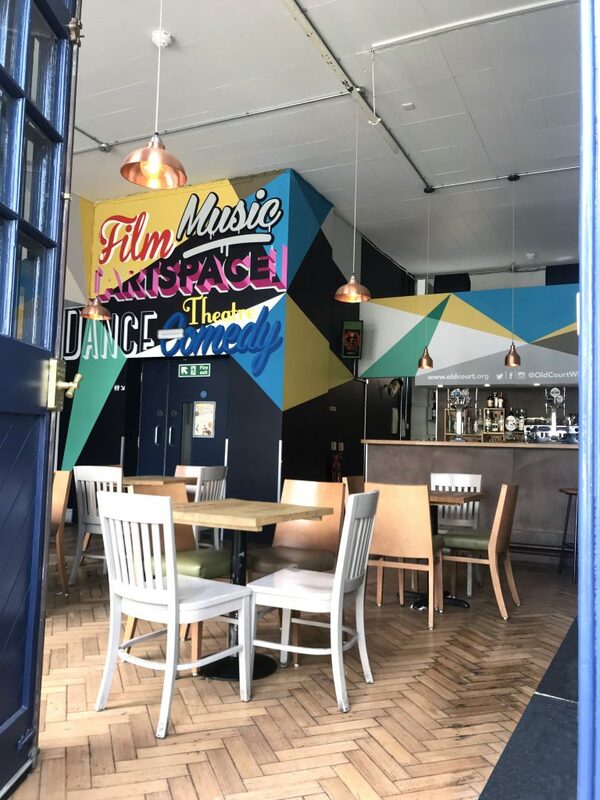 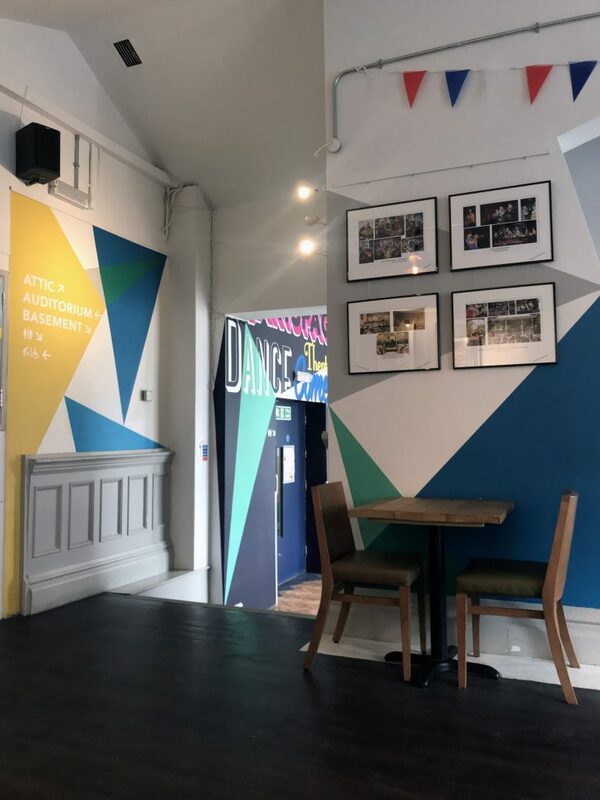 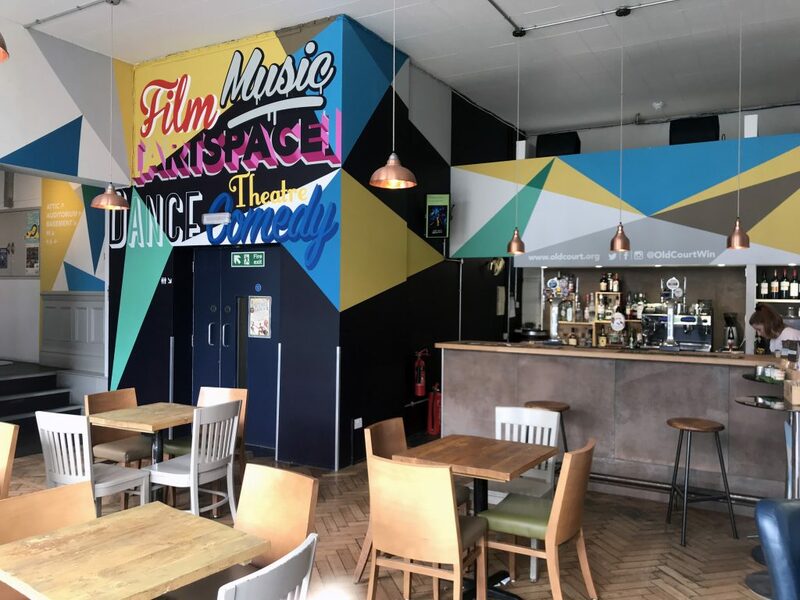 Using The Old Court’s branded colour pallet, we created a hand painted feature wall in the lower bar area, including typographical design around the word ‘Artspace’. This illustrated the different ways the centre is used including film, dance, music and comedy. 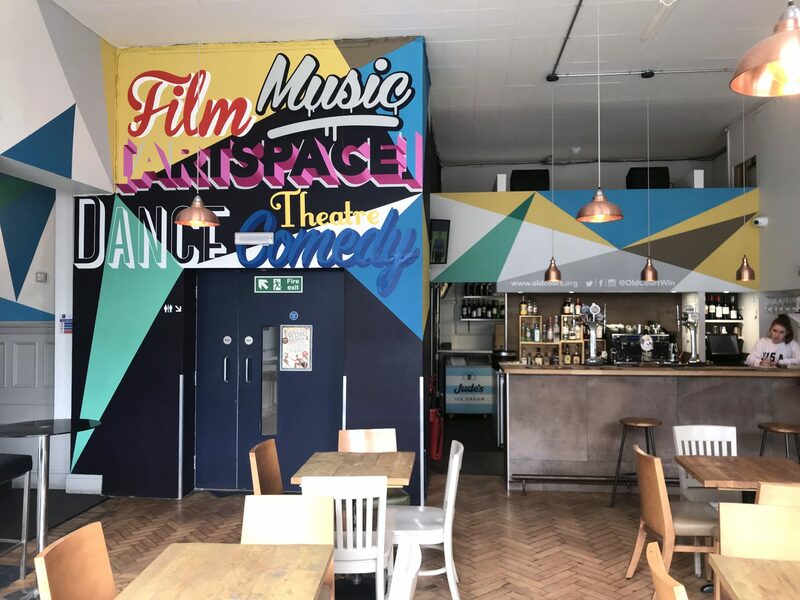 This wall can also be seen from the street in the summer when the doors are flung open, letting the space communicate its use in a creative way to an even greater audience. 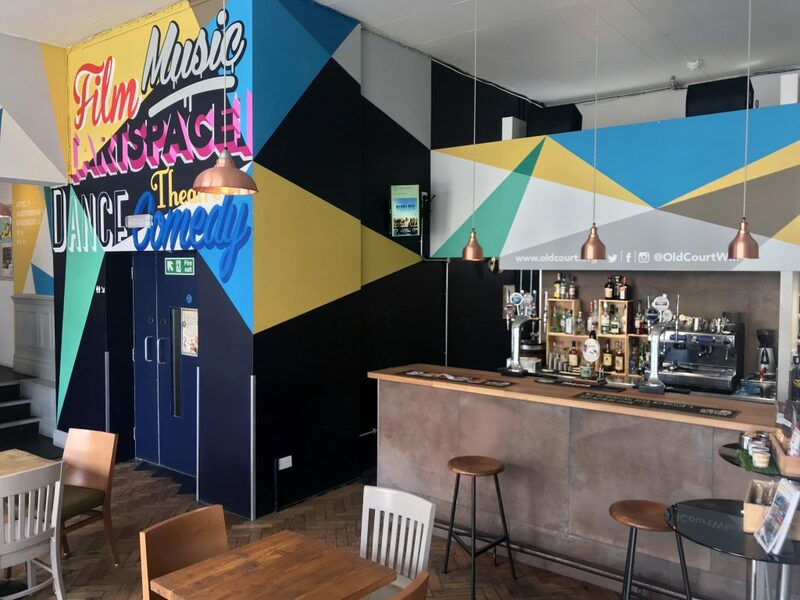 Additionally, we crafted hand-painted graphical designs in the entrance area, upper bar and staircase, creating bright engaging spaces for users of the centre. 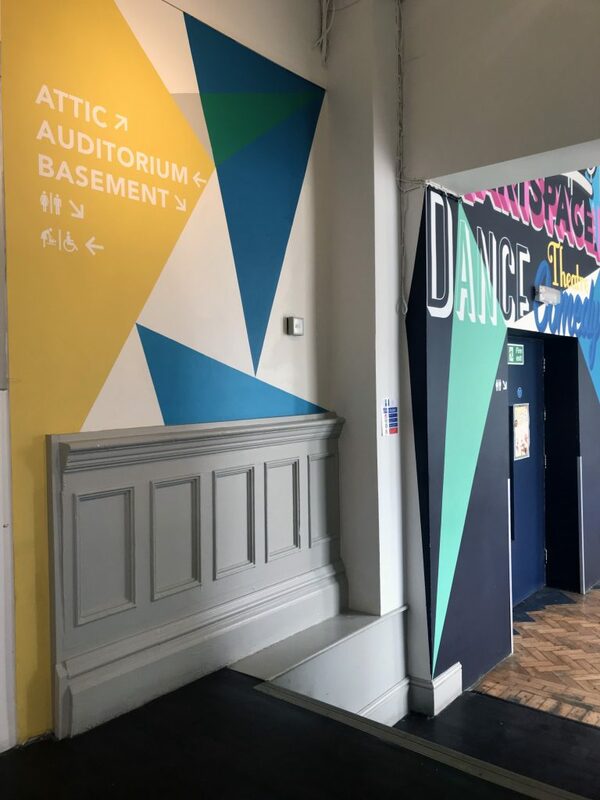 Some of these graphical walls incorporate wayfinding too, showing the way to other areas within the centre.